Mrs. Yulia Harachankova, who was detained and sentenced to five days of administrative arrest for involvement in a “silent protest” last summer, has received a compensation for the illegal arrest. The girl’s lawsuit lodged with Minsk Pershamaiski District Court mentioned 10 mln roubles of compensation for the moral damage she reportedly suffered during her imprisonment in Minsk detention center in Akrestsin Street. 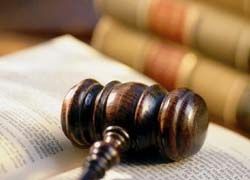 However, the Court ordered a compensation of only BYR 1.2 mln and another million of court duties. As a result, Mrs. Harachankova will receive only BYR 240,000 (23 Euros) of compensation for each day of illegal imprisonment. The decision was appealed at Minsk City Court, who, however, upheld the ruling.